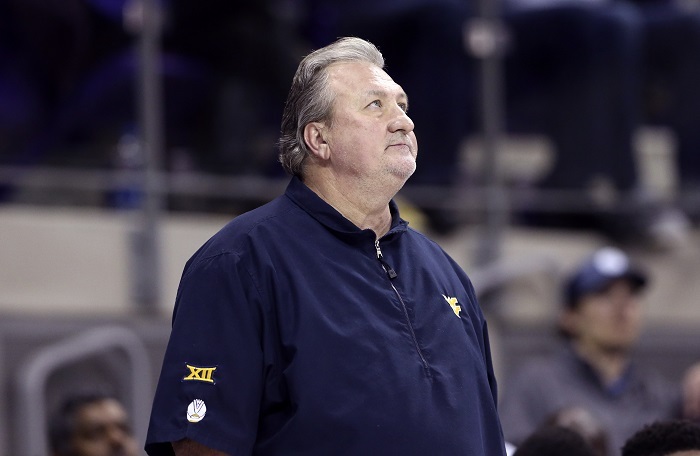 FORT WORTH, Texas — I’m not sure where Bob Huggins goes from here with this West Virginia team. Perhaps Tuesday night was rock bottom. 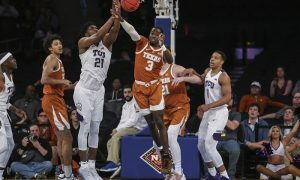 TCU won the game, 98-67, and that was expected. 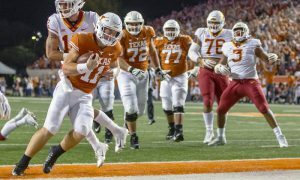 After all the Horned Frogs were ranked last week before dropping out of the poll after a two-game skid. TCU (13-3, 2-2 in Big 12) did just about everything right after a slow start to the game. 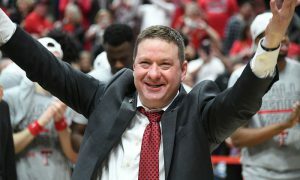 They shot a tremendous percentage (47.5 field goal / 42.9 3-point / 75.7 free throw), limited turnovers (7), played blistering defense (forced 17 Mountaineers turnovers) and basically did what a good team should do to the last-place team in the conference. But it was more than just a win. It was a blood-letting of sorts. Those of us that have been watching the conference this season knew West Virginia was going to have a rough go of it. But Tuesday night’s loss represented a Murphy’s Law scenario — everything that could go wrong did go wrong. And Huggins was powerless to stop it. The Mountaineers used 13 players. And I asked him about it after the game. Here’s what he said. None of the combinations that Huggins trotted out there worked. There were defensive lapses. There were missed point-blank layups. There were hustle lapses, the most inexcusable form of lapses in basketball. West Virginia pressed in the first half after falling behind by double digits, but it was nothing like the “Press Virginia” we’re used to. It seemed tepid. Huggins has been clear — he doesn’t have the players to press like he did a year ago. He also doesn’t have the leadership he had a year ago, and he spoke about that too after the game. We know this team misses Jevon Carter and Daxter Miles. But I don’t think it sunk in for me just HOW MUCH the Mountaineers miss the two of them until Huggins said this. By the 14:48 mark of the second half the Mountaineers were down 31 points. The frustration was evident on the Mountaineers bench. Most of the time Huggins looked helpless to stop the bleeding. He continued to coach, but the bench, by game’s end, looked beat down, towels draped over the heads and shoulders with blank expressions on their faces. And, yet, Huggins said just this past weekend that he wants to “win now,” in response to burning the redshirts of players like freshman Trey Doomes. The Mountaineers (8-9, 0-5) are now winless in the Big 12. 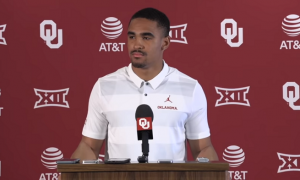 They need to win a league game first before they even THINK about “winning now.” It’s time for Huggins to find out WHAT he has on this team because he has one senior, Esa Ahmad. The rest, theoretically, are coming back next season. This is his future. This is West Virginia’s future. He and his staff have to figure it out while his players take the lumps. He even mentioned that he has players that are tuning him out. That’s not good news for anyone in Morgantown. The Mountaineers got 15 points from James Bolden and 13 points from Wesley Harris. Both are juniors. As for TCU, this is the win they needed after a lost weekend on the road. It gets them back to .500 in league play before a trip to Kansas State this weekend. Then it’s a home game with Texas followed by a home game with Florida in the Big 12-SEC Challenge. 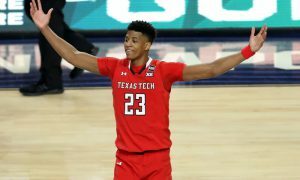 Then, Texas Tech two days later to wrap up the month of January. 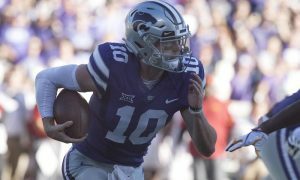 Things are going to start getting real for these Horned Frogs if they want to be a part of the top half of this league. It was hard to judge where this team is after Tuesday’s blowout, but head coach Jamie Dixon appears to have settled in to a solid seven-man rotation (in part due to injuries and illnesses). The starting lineup — Alex Robinson (14 points), Desmond Bane (a game-high 26 points), JD Miller (13 points), Kouat Noi (12 points) and Kevin Samuel (10 points) — are all capable of hitting double figures every night. Plus, the resurgence of Lat Mayen (12 points) is something to watch, too. The bench is starting to show some growth. And the team’s overall 3-point shooting is starting to heat up. The Horned Frogs are not a team I’d want to play on two days’ rest in Big 12 action right now. Meanwhile, Dixon handed a scholarship to Owen Aschieris, a sophomore from San Diego, Calif., who was a walk-on and worked as a member of the scout team last year … for the TCU women’s team. He got his scholarship two days before the game and scored 4 points in 4 minutes. On a night where TCU blew West Virginia away, that became one of the night’s big storylines, as the points were Aschieris’ first in college. TCU arranged to have a “cop” bring him his scholarship. But TCU continues to get bad news when it comes to guard Jaylen Fisher. 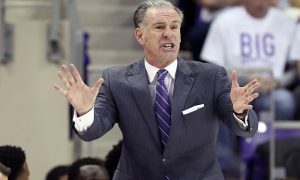 On Monday head coach Jamie Dixon told the media that Fisher is still experiencing swelling in the knee that was surgically repaired last January and that he would be out for the “foreseeable future.” The junior guard has been dogged by injuries throughout his TCU career and while the Horned Frogs have the depth to offset this it still hurts the team. For the brief amount of time Fisher, Alex Robinson and Desmond Bane were on the same floor this season the Horned Frogs has a real good time offensively. 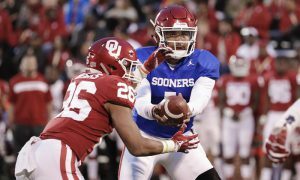 Wednesday night wraps up this cycle of Big 12 games as Oklahoma hosts Kansas State at 6 p.m. on ESPN2 and then Texas Tech hosts Iowa State at 8 p.m. on ESPNU.